Hollywood movies and the mainstream media sometimes typecast God inaccurately as a tyrannical master who can’t wait for humanity to slip up so He can wipe them off the face of the earth; but I encourage you to consider how Old Testament stories like Noah’s Ark reveal God’s grace and mercy and can be paralleled with Christ’s death and resurrection (like many other Old Testament stories believe it or not!). God does not enjoy the destruction of the wicked (Ezekiel 33:11). As the ultimate loving Father, He always provides hope and a way out of judgment. If you read closely enough, you will realize the Biblical account of Noah is a wonderful story filled with signs and symbols of a gracious and merciful God. As the Divine Creator, God could have chosen to wipe mankind from the earth, especially since the Bible says our wickedness was so great it caused an outcry from the heavens. The Scriptures say it deeply grieved God that His creation had become so morally bankrupt that no one except Noah was found to be righteous. How great is our God that He allowed man’s legacy to continue through Noah’s family line (Genesis 6:5-8)? Why would He do this? Although man’s wickedness grieved God, He loves us and promised to repair our broken relationship with Him (Isaiah 53:5-12). Although God promised the flood would come, He also promised Noah a way to escape destruction onboard the Ark. The Ark provided complete protection from the flood in the same way the blood of Jesus covers us and provides grace over judgment. God invited Noah and His family into the Ark and sealed them inside to secure their protection (Genesis 6:9-7:24). After several days of floating around on the flood waters, Noah released a raven. The Bible says the raven flew back and forth in the sky continuously until the Ark found its resting place in the mountains of Ararat. When I first read this statement, I was somewhat perplexed. In modern times, the raven is often used to symbolize death. I suppose it could be said the raven could not perch on anything because the earth was covered in water which symbolized death while the waters existed. Also, ravens were considered to be unclean birds because they feed on the dead (“Genesis 8 – Matthew Henry’s Concise Commentary on the Bible”, Bible Gateway). Is it also possible there is a dual meaning to why the raven was sent out? In my research about Noah’s raven, I found several websites that indicated the bird is often used as a symbol of provision (see “1 Kings 17 – Matthew Henry’s Concise Commentary on the Bible”, Bible Gateway, “Vincent of Saragossa”, Wikipedia, and Luke 12:24). I have to wonder if the raven is meant to symbolize God’s provision for Noah, his family, and all the living creatures on the Ark while there was only death everywhere else upon the earth. The dove shows up in many different passages of the Bible to symbolize the Holy Spirit, purity, peace, and new life. In the story of Noah’s Ark, the dove was sent out three separate times to find dry land. The first time the dove was sent out, it flew back to Noah because there was nowhere to land (death upon the land). 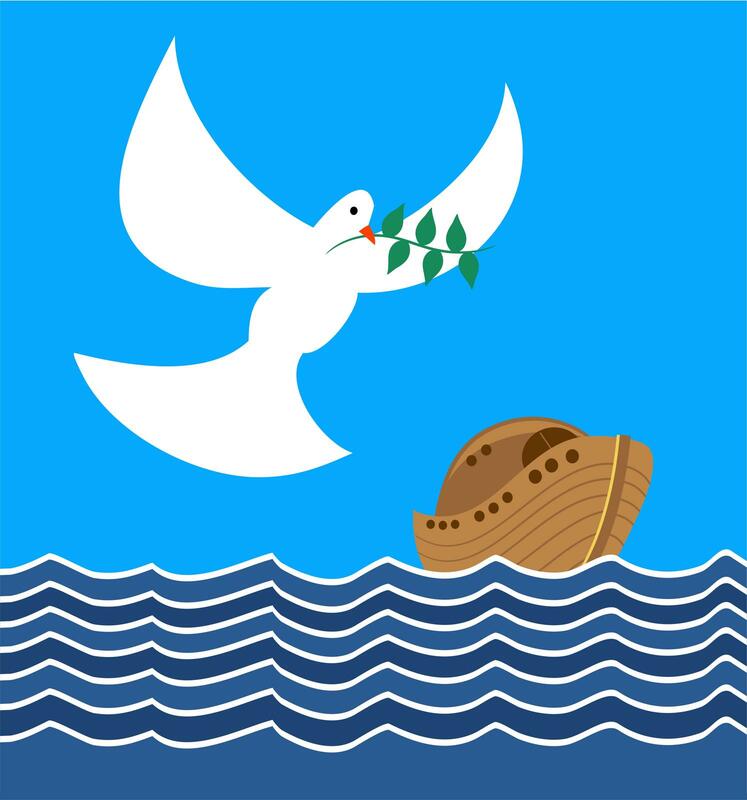 The second time the Noah released the dove, it returned with an olive branch, symbolizing peace. When the dove was released a third time, it did not return, symbolizing freedom and deliverance after the world’s submersion). Just as Noah’s Ark is often compared to the finished work of Christ, the dove can be compared to a believer’s baptism after salvation, signifying the Holy Spirit being with a follower of Jesus (“Why is the dove often used as a Symbol for the Holy Spirit?”, Got Questions.Org). One could also argue that the dove is, in this particular case, a symbol of deliverance. The dove as a symbol of the love of God appeared, telling us that, as with the Flood, the storm of sin is not powerful enough to keep us permanently separated from the Father. Our planet is now connected with heaven through Christ. In accepting His Son, God signifies to us that we are also accepted in the Beloved through faith in the provision He made on our behalf. The rainbow is a symbol of God’s covenant with Noah that He will never destroy the earth again by flood. The rainbow is a sign to God’s people of His enduring faithfulness (“Christian Rainbow: Christian Symbols Illustrated Glossary” by Mary Fairchild, Christianity.About.Com). If you are interested in the meanings and symbolism of the colors of the rainbow, I would highly recommend the article found on Bible Study.Org titled “What does a rainbow mean in the Bible?”. There are multiple layers of meanings and so many interesting things to study on this topic that it would be easy to make a whole other blog post about it (and I just might!). God is effected by us. We, His creation, mortal beings who are like the grass of the fields, being here one day and gone the next, effect the awesome and immortal God. Moses, a man, one man, one man climbing a mountain to meet God, could move God’s heart. 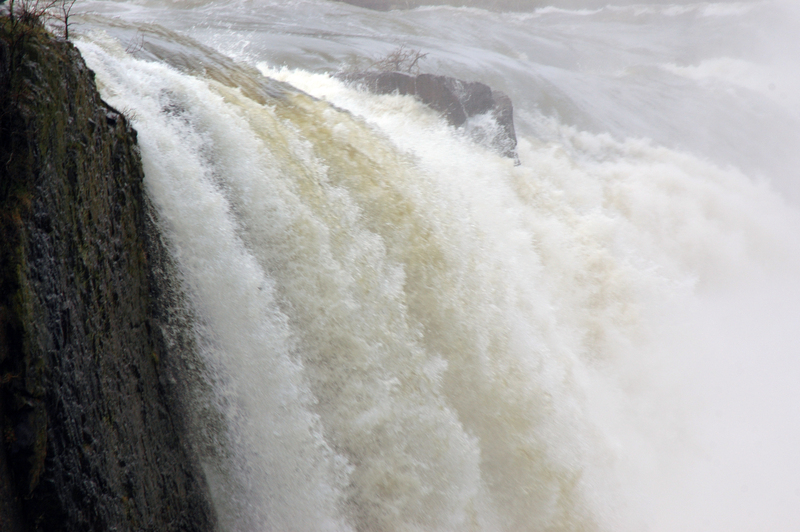 When God was angry with the Israelites, Moses’ words could effect God and move His heart. I believe this shows that God is invested in us, and is interested in a personal relationship. He loves us enough to listen even when we are speaking on behalf of those who deserve his wrath, and to change His course of action, because of us, His creation.